When Julia and her walking house come to town, she likes everything about her new neighborhood except how quiet it is! So Julia puts a sign up: "Julia's House for Lost Creatures." Soon she's hosting goblins, mermaids, fairies, and even a dragon. Quiet isn't a problem anymore for Julia...but getting her housemates to behave themselves is! 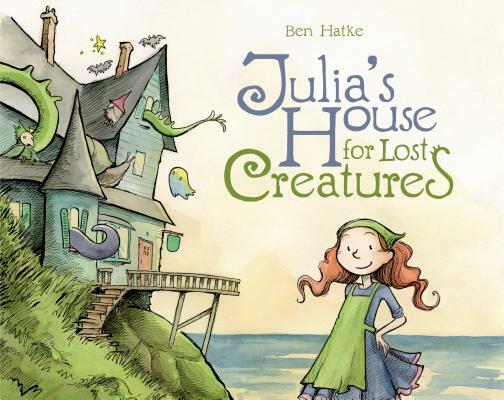 The simple, sweet text of this picture book by New York Times Best-Selling Zita the Spacegirl author/illustrator Ben Hatke is perfectly balanced by his lush, detailed, immersive watercolor illustrations.